In 2016, I covered orders and deliveries for Boeing (NYSE:BA) and Airbus (OTCPK:EADSF) with monthly reports. In 2017, I will continue this coverage as it gives somewhat of an idea of current performance as well as an ability for the respective manufacturers to grow order books and possibly earnings in the future on healthy order books. Next to that the order inflow is in an almost direct reflection of the market environment on the commercial aircraft market. In this article, I will have a look at the orders and deliveries for the month March. The February report can be found here. An undisclosed customer ordered 3 Airbus A319ceo aircraft. AerCap (AER) added an order for 1 Airbus A320neo. China Aircraft Leasing Group added 2 Airbus A320ceo aircraft to Airbus’s order book and some days later also placed an order for 4 more aircraft of the same type. Spirit Airlines (SAVE) ordered 2 Airbus A320ceo aircraft. What is important to note here is that Airbus was only able to sell some of its most discounted jets and it received only 1 order for the Airbus A320neo family in March. Airbus received 8 cancellations in March. Two of these cancellations can be attributed to Spirit Airlines converting an order for 2 neo aircraft to ceo jets. CALC did the same but for 6 jets. In terms of ordered units March order inflow increased by 8 units year-over-year, but this year in March order inflow was solely focused on the A320 family. In the first 3 months of 2017, Airbus booked 26 orders and received 20 cancellations leaving the jet maker with 6 net orders. In 2016, Airbus booked 32 orders in the first 3 months and received 22 cancellations leaving the jet maker with 10 net orders. 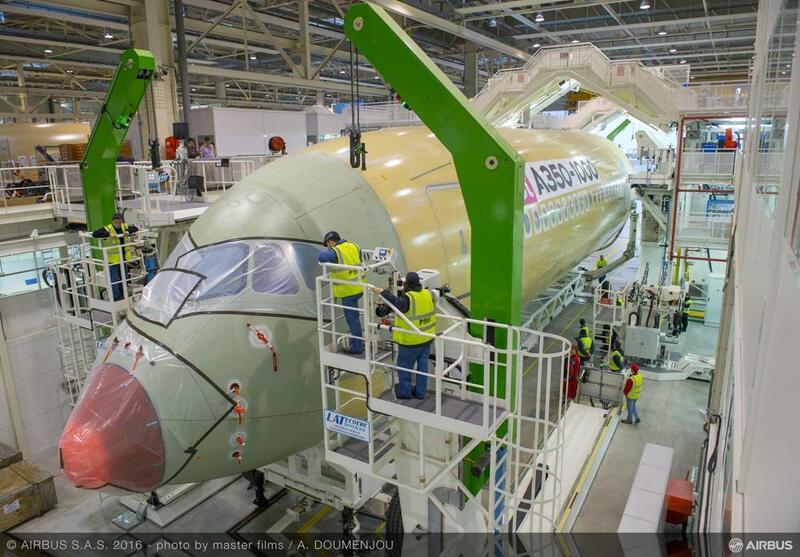 So the first 3 months were naturally weak for Airbus and it remains to be seen whether this is weakness that can be connected to demand or to Airbus saving up order announcements, centering order announcements on the Paris Air Show later this year. Airbus delivered 7 A350 aircraft, in line with the averaged expected number 6-7 deliveries. Six Airbus A330 aircraft were delivered, which is in line with expectations. Two Airbus A380 aircraft were delivered, one to Etihad and one to Emirates. A total of 47 A320 aircraft was delivered, which is below the average expected number of deliveries.